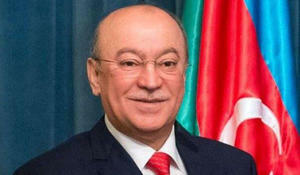 President of Azerbaijan’s Taekwondo Federation Kamaladdin Heydarov has been reelected as vice president of the World Taekwondo. Azerbaijan and Georgia have discussed the prospects of developing relations in the field of combating transnational crimes. Azerbaijan and Iran, the two neighboring countries that have had diplomatic relations since 1918, are successfully developing relations at the state level. Azerbaijan’s Emergency Situations Minister Kamaladdin Heydarov has today met with a delegation of Iranian Ministry of Industry, Mine and Trade. Azerbaijani Minister of Emergency Situations Kamaladdin Heydarov has met a delegation of Turkey`s Ministry of Civil Defense and Armed Forces. As part of efforts to continue the recent close interactions and successful cooperation between Iran and Azerbaijan, the two countries are expanding bilateral ties in various fields. Azerbaijan’s Emergency Situations Ministry and the Dutch Ministry of Infrastructure and the Environment have signed a Memorandum of Understanding on cooperation in the field of management of water resources. Azerbaijan`s Emergency Situations Minister Kamaladdin Heydarov has met outgoing Qatari ambassador Sheikh Mubarak bin Fahd Jassim Al-Thani. The Kyrgyz delegation led by Tayirbek Sarpashev, First Deputy Prime Minister, visited Azerbaijan's capital Baku to attend a regular meeting of the Azerbaijani-Kyrgyz Intergovernmental Commission on Economic and Humanitarian Cooperation on September 10. Azerbaijan and Morocco have signed an agreement on cooperation in the management of emergency situations.